"When I first bought the building, everybody thought that I was crazy." Nearly ten years after the storm, the neighborhood still did not have a single grocery store. But Ninth Ward resident Burnell Cotlon (pictured above, right) set out to change that. 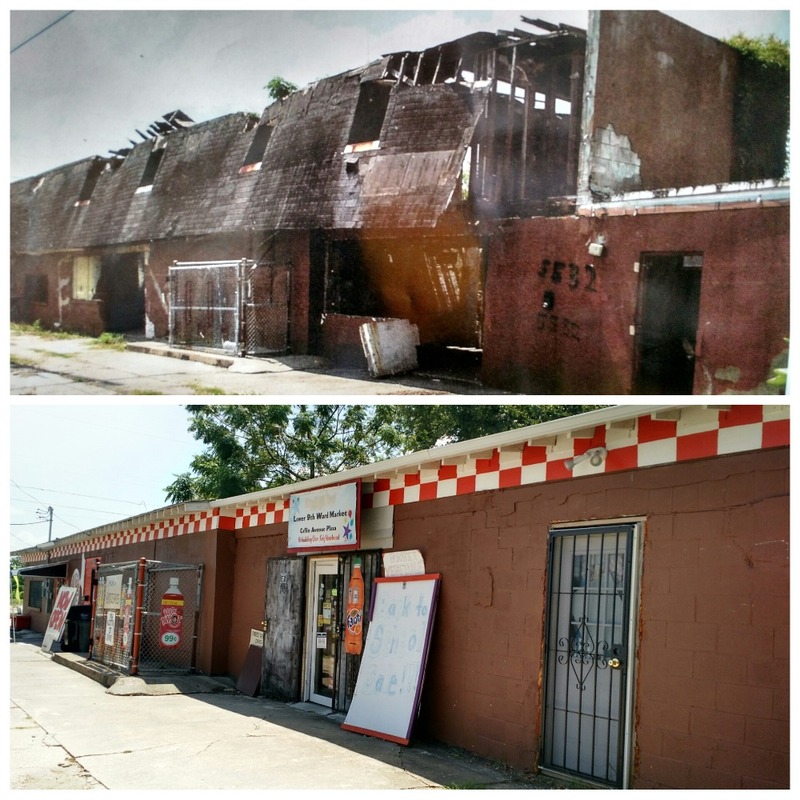 Using money saved while working at fast food restaurants and dollar stores, he bought a dilapidated building on an empty block. And in 2014 he opened the Lower Ninth Ward’s first grocery store since the storm. 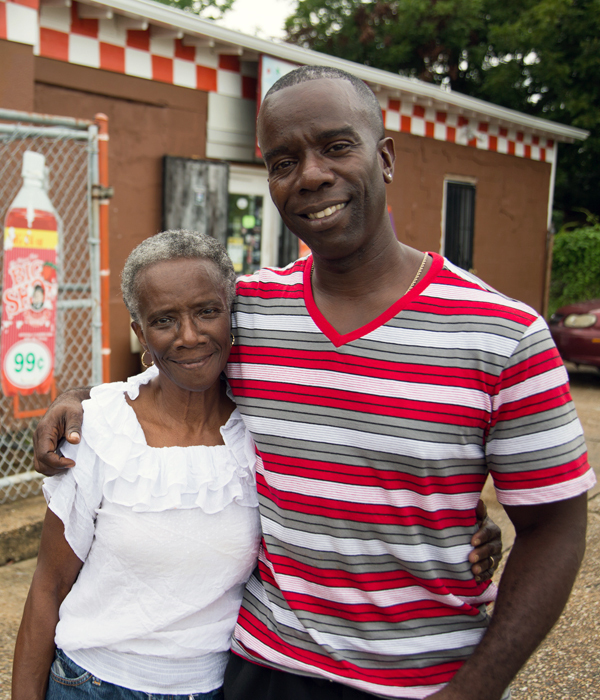 At StoryCorps, he sat down with his mother, Lillie (pictured above, left), to remember the days after the flood. This story is featured in Callings: The Purpose and Passion of Work, a collection that celebrate the passion, determination, and courage it takes to pursue the work we feel called to do. Callings is now available from Penguin Books. Get the book at our neighborhood bookstore, Greenlight Bookstore, or find it at your local bookstore. To help Burnell further his dream of expanding the Lower 9th Ward Market, visit his Go Fund Me page. Originally aired August 8, 2015, on NPR’s Morning Edition. Photos courtesy of Daniel Schergen, Ian Spencer Cook, and Hanna Rasanen for StoryCorps. BC: I remember coming back home, that was the first time I cried. BC: Yup. I was in that FEMA trailer for almost three years. And I drove around the Ninth Ward. We didn’t have no stores, no barber shops, no laundry rooms. LC: THere’s no where for people to go buy a loaf of bread. BC: Right, you have to catch three buses to get to a store. And I always was taught if there’s a problem, somebody’s got to make a move. So I decided to open up a grocery store. I remember when I first bought the building, everybody thought that I was crazy. BC: Sno-ball. And the very first customer cried ‘cuz she said she never thought the Lower Ninth Ward was coming back. LC: You saw something that I didn’t see. I’m glad you, you took the chance. BC: Just seeing so many people, the look on their faces, it’s a joy. It’s a headache back then but now it’s worth it. LC: It’s all worth it. BC: It was all worth it. And if it take me doing it by myself I’m a put one business at a time back into the Lower Ninth Ward. ‘Cuz it’s home.